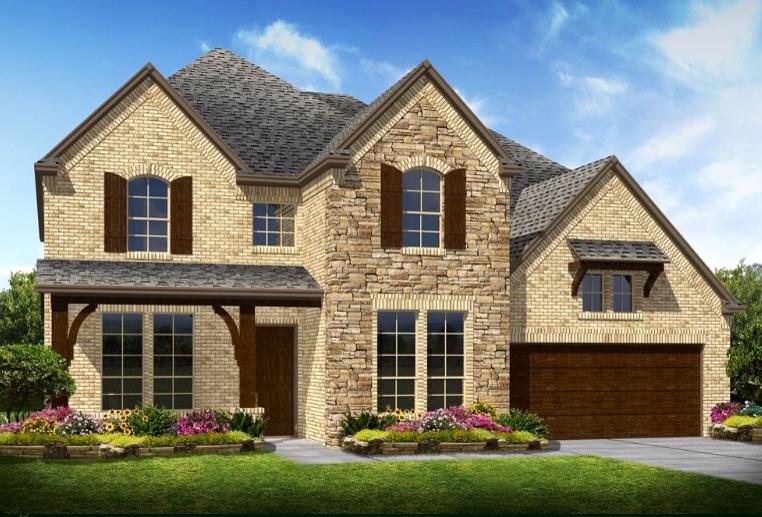 The Beautiful Westover VI Plan by K Hovnanian Homes will be the Model above that is planned at Diamond Point Estates in Frisco. The community plans to start pre-selling on March 10th! Today workers were putting the finishing touches on the entry signs and the exterior common areas. Diamond Point has been in the works a while and now buyers can start contracting on Monday at the lowest prices Diamond Point will ever be at! Back to the Westover plan. It flows very well with opening from the front door with the dining on the left and continuing to the very open family, kitchen and nook. 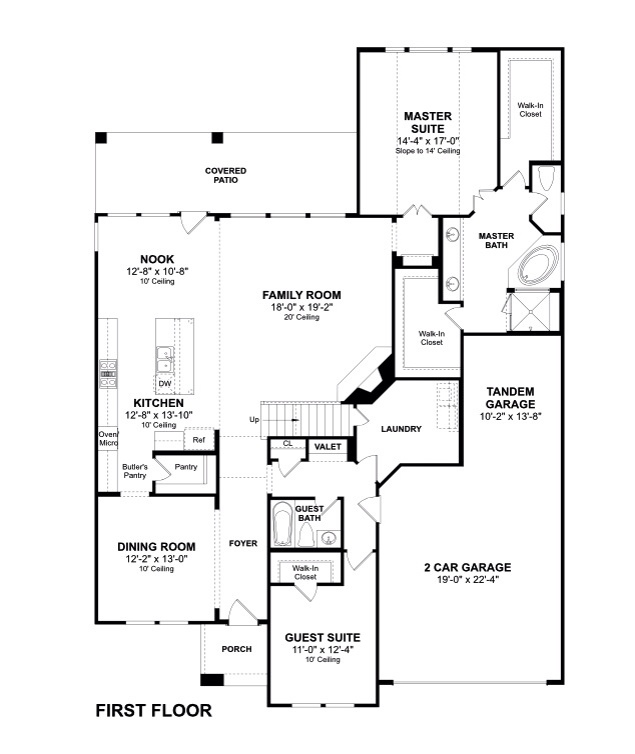 What matters most about the Westover plan is the two large master closets and the tandem oversized 3 car garage! 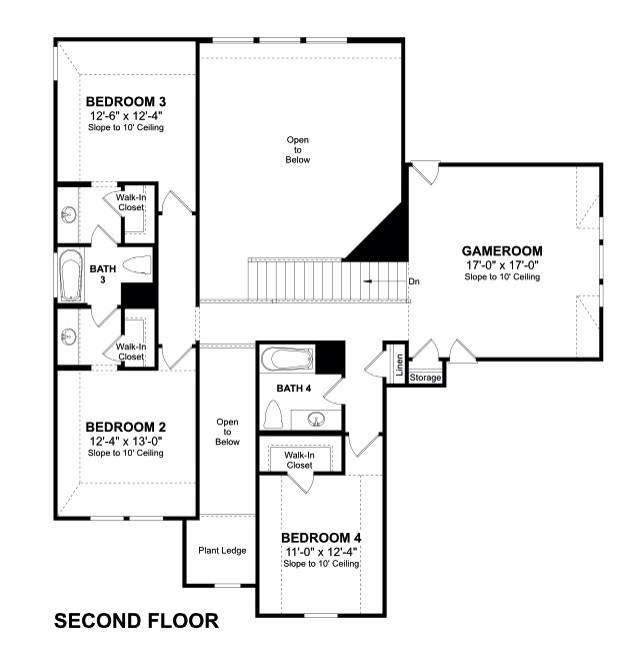 And the upstairs is ideal with a large Gameroom, three extra bedrooms and two full baths. Media can be added on as well. It’s hard for me to explain how important it is to get in at the beginning of a community to be able to cherry pick the best lot and to buy right! Your opportunity is now by setting up an appointment with K Hovnanian on Monday and contract at the best price Diamond Point will ever be at! 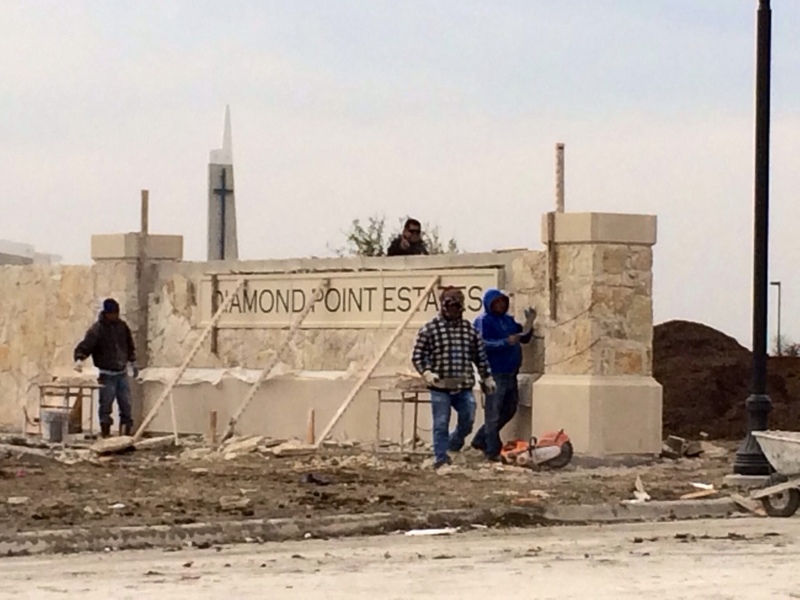 For more on Diamond Point by K Hovnanian Homes in Frisco, text or call me today at (469)733-2723 for available lots or any other questions. 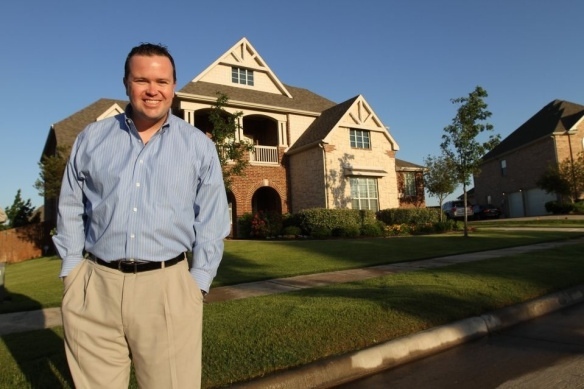 ← Toll Brothers at Richwoods in Frisco OPENS new lots!